Savai’i is a paradise on Earth where you’ll get real insight into the traditional Samoan way of life. Savai’i is also filled with many amazing natural wonders, lush rainforests, waterfall and great people. Here are the 8 best things to do in Savai’i, Samoa. 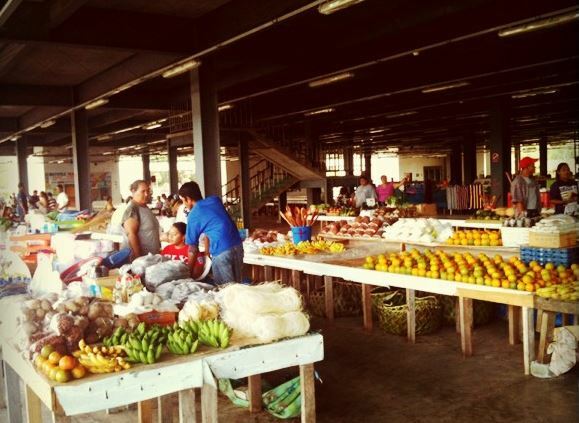 The Salelologa Market is a great place to visit to purchase local handcrafts, lavalavas, Samoan clothing and hats, as well as takeaway food, fresh fruit, vegetables, and fish. It’s also a great spot to pick up some of that famous virgin coconut oil, coffee or cocoa. Meet the locals and browse the largest market in Savai’i. In 1905 molten lava from the Mt Matavanu eruption buried 8 villages under its wide lava flow. A half buried church, a virgin grave and a trail of lava mounds can still be found as you walk over this fascinating geological expanse. Saleaula lava fields are are another piece of Savaii’s amazing natural scenery… crazy to see effects of eruption 100 years on… can even see corrugations where church roof fell on molten lava… informative tour guide… Nadia B.
Savai’i is one of the very few places you can get up close to a green turtle. 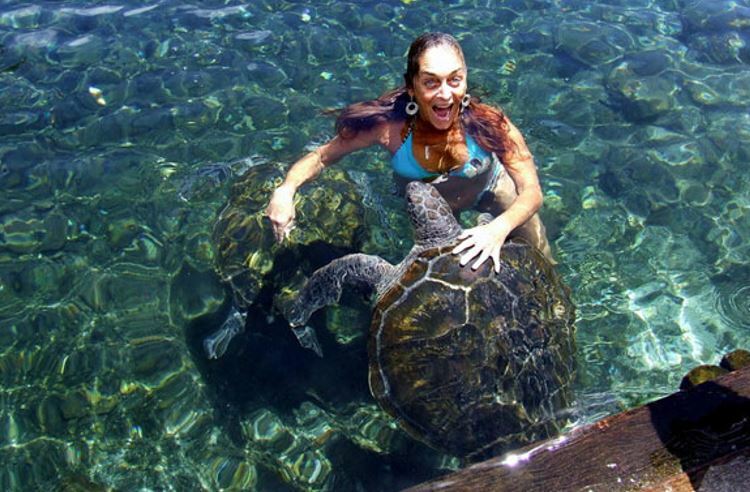 The turtles at Satoalepai’s SwimMing with the Turtles Sanctuary are hand fed and friendly. You can get into the lagoon with them, or just enjoy the view and feed them from the shore. Here turtles are raised from infancy or rescued and cared for until they are tagged and released into the wild. 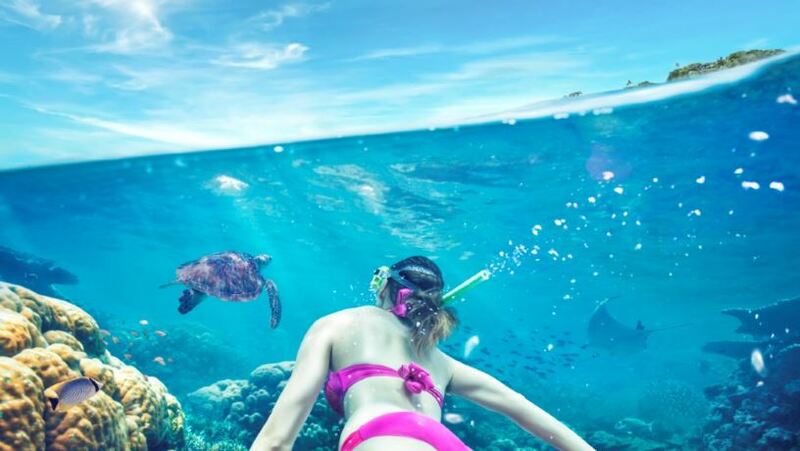 It was a once in a lifetime experience swimming with turtles. 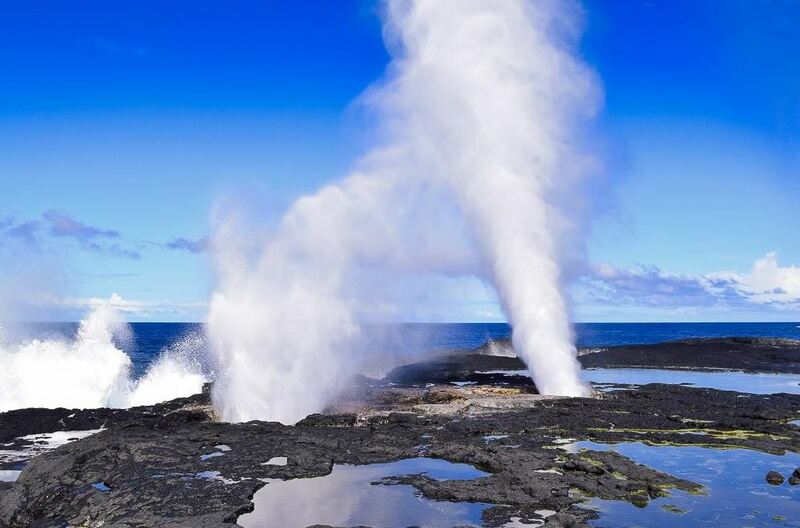 One of the highlights of my time in savaiiJames H.
These impressive blowholes are power in its purest form. Roaring jets of water are propelled hundreds of feet up into the air by the ocean. 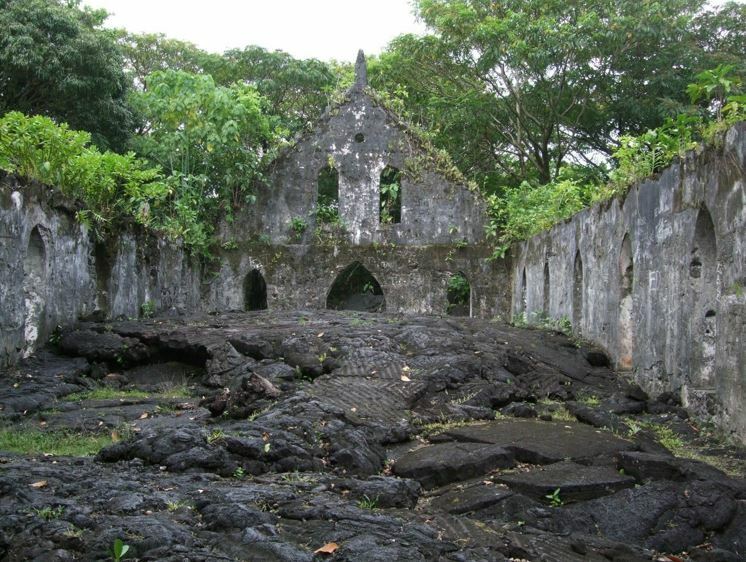 Located in the village of Taga on southwest Savai’i, they can be accessed by a dirt road. Another site of interest here at the blowholes is Pa Sopo’ia Cave. It is believed that this cave is an ancient pathway where the ancestors’ spirits travel to reach the Devil’s Haden at Cape Mulinu’u, the final meeting place before they enter the Spirit World known to Samoans as Pulotu. Ask the local Matais to show you the way. The Afu Aau Waterfall also known as Olemoe Falls, is one of the most popular things to do in Savai’i. This spectacular waterfall, located in south-eastern Savaii, plunges from the rainforest deep into a fresh-water swimming pool. Surrounded by soaring cliffs covered in vines, you’ll feel part of something ancient, natural and very special as you swim in this magical water hole. On the northwest side of Savai’i, you’ll find a serene piece of paradise that will truly remind you of the pristine natural world. 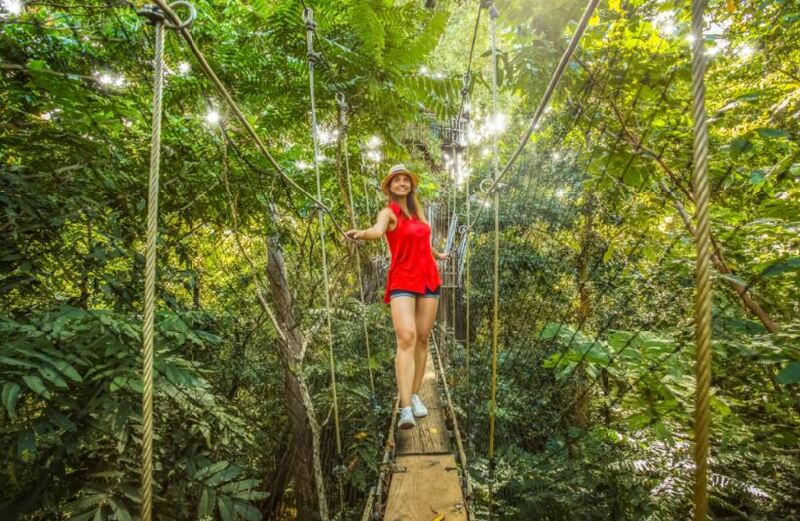 The highlight of the reserve is a treetop canopy walkway where you can explore the treetops and get a sense of how old the trees really are. Most of the resorts on Savai’i offer great snorkeling. Take some time to explore the marine life just steps from your fale while in Savai’i. Quite different to the commercial versions you may find at bigger hotels in Apia, the Fiafias in Savai’i are much more likely to be a genuine family affair with everyone from the young children to the elders taking part in the festivities. Enjoy a buffet or bbq meal which often include traditional Samoan delicacies. Of all the things to do in Savai’i, this one gets you closest to the local culture. 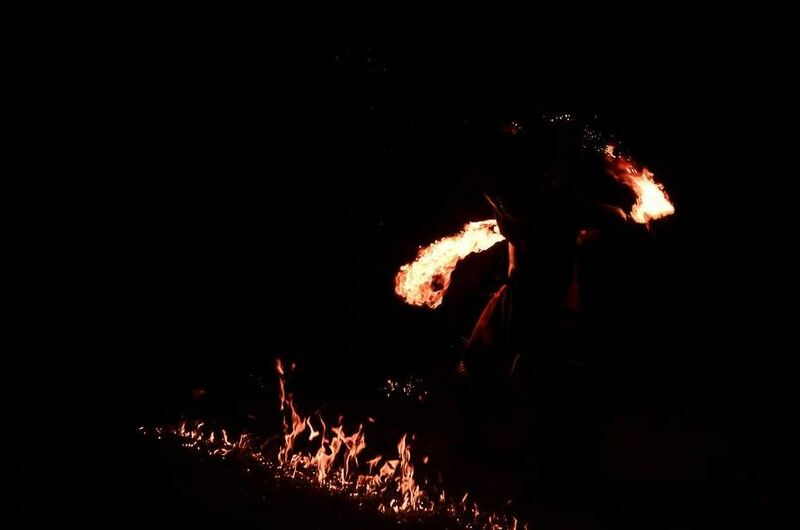 You’ll love the show, which often includes singing, dancing and, the grand finale, fire knife dancing. No matter what types of things you want to do in Savai’i, Samoa, The Destination Specialists at About Fiji can help you make your vacation dreams come true. Plan a custom trip to Samoa or check out our sample itineraries today! Looks like a class South Pacific market there. Like the one I visited daily during my time in Savusavu. Samoa added to my list. Rocking post!